Wow, two post in the same week, that goes to show you what a little time off will do to a guy who likes to write his opinions! In the previous post, I suggested that the notations in the newer translations of the Bible or the decision to leave out certain verses all together because they were most likely added later, should be something we should question and not readily accept all together. It is said by most not to be an issue because there is nothing doctrinal affecting in those verses, so added or not, little difference is made. I on the other hand have difficulty telling someone causally who inquires concerning these verses or any other verses, "Just never mind them, they were probably not in there to start with." As I noted in the previous post, this does have a tendency to cast doubt upon the reliability of our scripture. Once a small portion comes into question, all portions are weakened. So, since I have difficulty telling you that, I'm not going to tell you that. But one does need to give an answer to why there is a question concerning these verses. That is going to be the attempt made in this post. There are much more qualified persons to address this issue, and I would encourage you to seek them out. Try to find the one who is truly looking for the truth, and not some scholar wanting to defend a personal position. I suppose all positions are personal to some extent, but some will ignore or even obscure unfavorable evidence in order to hold to a certain view. Avoid these types of people, regardless of how knowledgeable or credited they may be. One thing to keep in mind, whether new or old translations and regardless of the language outside of the original, they are all translations. The West Minister Confession of 1646 states, (VIII. The Old Testament in Hebrew (which was the native language of the people of God of old), and the New Testament in Greek (which, at the time of the writing of it, was most generally known to the nations), being immediately inspired by God, and, by His singular care and providence, kept pure in all ages, are therefore authentical; so as, in all controversies of religion, the Church is finally to appeal unto them. 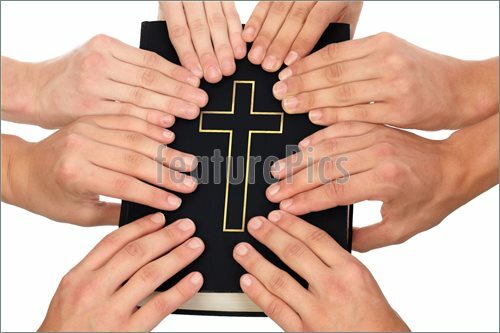 But, because these original tongues are not known to all the people of God, who have right unto, and interest in the Scriptures, and are commanded, in the fear of God, to read and search them, therefore they are to be translated in to the vulgar language of every nation unto which they come, that, the Word of God dwelling plentifully in all, they may worship Him in an acceptable manner; and, through patience and comfort of the Scriptures, may have hope. This is excellent instruction, it is of the greatest blessings that we have the translations (even various versions) both the older and newer. We have such great advantage with such valuable resources at our disposal to help aid us in our study of scripture. A prudent scholar will make use of all his resources. All translations and versions are not equal, some are better than others. They all have their strengths and weaknesses. But it is evident we all don't speak or read the original languages nor will we all learn them adequately, so our learning will be aided by these translations. As we read them it is helpful to understand why there has developed a need to make notations such as the one we find in the last 12 verses of Mark. When a translation is in progress, many different sources are used to attain the clearest and most accurate rendering of the text. But some resources are given primary authority or influence when there are differences in the reading of the text. One can clearly see if this primary authority or influence is shifted the text rendering will be changed. That is one of the major factors involved in the notations arising in the newer translations. There was a shift in which resources would be the primary strength in deciding the true meaning. For the Old Testament, the scholars of the older translations relied heavily upon the Septuagint Translation or (LXX). It is a Greek translation of the Hebrew text written 285-270 BC. 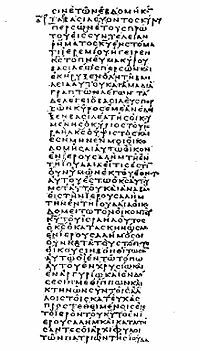 This was the primary document used during the New Testament times, and most New Testament quotes of the Hebrew text were from the Septuagint. The fact it was in use during the period in which Jesus walked the earth and considered a reliable source gives much credence to its authority. This Septuagint was based upon the "Vorlage Text" of about 440 BC which was essentially the original complete Old Testament Text. It also gave rise to the Samaritan Pentateuch. These factors give us great confidence that it is a trust worthy source to be reliable and trusted. You also have the Masoretic text, which is derived from the Council of Jamnia in 90 AD. The Masoretes who established this work rejected the LXX and the Hebrew version on which it was based because it had become the "Bible of the Christians." This Masoretic text differs in about 6,000 places from the LXX. Most of these are simply textual differences which has little effect on the meaning. But there are about 1,000 that need consideration. In these differences the older translations would most likely lean toward the LXX. Especially where secondary resources confirmed and agreed with the LXX against the Masoretic. In the 1730's scholars deviated from this practice and began to place primary weight and authority upon the Masoretic text. When this occurred it obviously affected the rendering of our English Bibles. For the new Testament a similar shifting occurred around 1853. Prior to this date, scholars relied heavily upon Textus Receptus. "Textus Receptus" means received text. 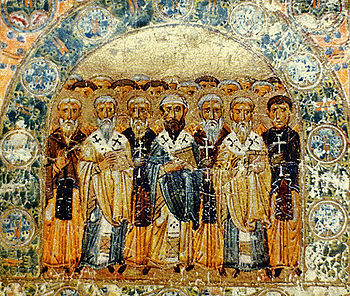 It is a representation of the manuscripts used in the church since the 4th century. It agrees with over 95% of the manuscripts in common Greek. 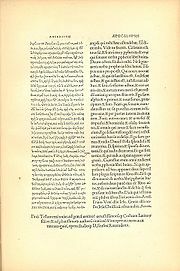 Ancient Versions that follow the rendering of Textus Receptus are the Peshitta Version (AD 150), The Italic Bible (AD 157), The Waldensian (AD 120 & onwards), The Gallic Bible (Southern France) (AD177), The Gothic Bible (AD 330-350), The Old Syriac Bible (AD 400), The Armenian Bible (AD 400 There are 1244 copies of this version still in existence. 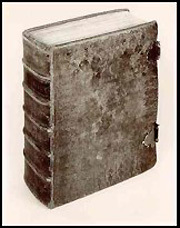 ), The Palestinian Syriac (AD 450), The French Bible of Oliveton (AD 1535), The Czech Bible (AD 1602), The Italian Bible of Diodati (AD 1606), The Greek Orthodox Bible (Used from Apostolic times to the present day by the Greek Orthodox Church). Our English translations which date prior to 1853 relied primarily upon this resource. The shift after this date occurred when two scholars by the name of Brooke Foss Westcott and Fenton John Anthony Hort finished a Greek New Testament based upon two old Codex's called Vaticanus and Siniaticus. This work became the standard and primary reference resource for Bible translations and is used in all our newer English versions. There are three old Codex's referred to as the Alexandrian Codices. Codex Alexandrinus is dated around the 5th century and contains the entire New Testament. 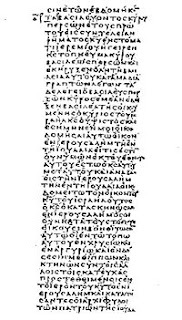 Codex Siniaticus is dated around 350 AD, and is one of the two oldest manuscripts of the Greek New Testament available to us. Codex Vaticanus is dated slightly earlier around 325 AD and is regarded by many as one of the most reliable copies of the Greek New Testament. I suppose one reason for Westcott and Hort to deviate from Testus Receptus to the Codex's was these early dates. That would be a reasonable consideration, to look to them as a primary source. The problem is however, they have over 3,000 contradictions in the four Gospels alone between them. And they changed the common Greek text in 8,413 places. The last 12 verses of Mark being one of them. Again, you can easily see how English versions translated before 1853 would differ with those translated after 1853. So there is your reason why the last 12 verses are noted in the newer versions as not being in the oldest text, or are left out all together. So what do we do with this information? Simply be aware of it. The new translations can be much more precise in the language and convey a much better understanding of the text, but their weakness is their reliance upon old codex's that convey such differences even between themselves. In this case, I would prefer a more consistent translation with the Textus Receptus text than to rely upon contradictory text just because they were the oldest text available. It is good to review them, but I prefer the former practice of considering them secondary sources and allowing Textus Receptus to settle manners of difficulty. You see, it's really not about old Bible versions vs. New Bible versions. The issue is the source text that was given primary influence in the translation process. Had there not been a shift in primary sources there would not be notations in our newer versions. Perhaps God in His Providence will give a new translation in the future once again giving primary influence back to the Septuagint and Textus Receptus. That all being said, when reading a newer translation and taking notice of a notation the translators placed on certain verses stating this was added at a later date because it does not appear in the oldest copies, I simply say, that's interesting. But knowing the sources the older translations used, I refer to one of them. If it is there, with this information in view, I can feel confident that indeed it was always there. I hope this has been helpful and reassures you of the reliability of the scriptures we possess. "Last 12 verses of Mark"
The Bible is a most remarkable book, both to the critic and to the believer. To the critic its content is so offensive that every effort and expenditure must be exhausted to eliminate its influence. To the believer its content is so precious that many have given their lives to promote and diffuse it into society. Yet, multitudes are oblivious to its content and in their mind regard it as nothing or give it little thought. Many do this all the while one lies on their table, or even perhaps, while carrying one to church. The contents of this book is too important to be ignored, the serious critic knows this as well as the serious believer. That is why I have titled this article the "Last 12 verses of Mark". There are a number of verses that fall in the same category as these, but this is not an exhaustive study of this subject, so we are going to focus on these 12 verses for the moment. We will try and demonstrate solid practices of study that can be applied in other areas for those difficulties. 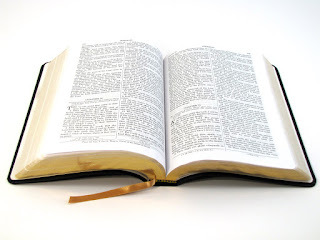 I will let you read these verses in your Bible if it has them in it, if it does not I will post the verses in question at the bottom of this article. So why the last 12 verses of Mark? Well, if you do happen to pick up a Bible and began a serious effort to discover its truth, when you get to these verses you may notice something interesting. 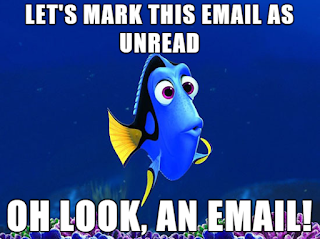 This will be more likely if you are using a modern translation. You will in most cases find a notation stating that these verses are not in the original text, or they will be omitted all together, depending on the Bible version you are using. Some notations will explain that they were added at a later date which for some is of little consequence. But for those who hold to the Bible as the revelation of God given to man, that creates a serious uneasiness and rightly so. This also gives fodder to the critic and leaves us stammering with our apologetics. We should expect nothing less from the critic, he has a valid point that not only he needs answered, it should stir us to know the truth as well. The critic will point out that the Bible cannot be trusted because men have tinkered with it and changed it to promote their own ideas. It seems the unbelieving critic knows the nature of man better than most Christians. The critic is right. History shows that it has been tinkered with and it has been changed to fit men's personal views. Let me explain before you label me a heretic. This does not mean the Bible cannot be trusted. It just means we must be careful and diligent in our study. For the most part, we know when changes were made and why they were made and by whom they were made. So we can easily work our way past those. These problems arise because men are sinful by nature; they want their way, and are arrogantly convinced they themselves know truth better than others. This is the main reason we have so many different denominations and beliefs concerning the Bible. Yes, some are arrogant enough to even change the text if it implies something different than what they believe is truth. It is certain God has preserved for us His Word in its purest form, with its truth standing sure and its power to transform the lives of believers where ever they may be found. Along with this truth comes the responsibility of diligent and careful study. Your Pastor, Elders, and teachers are given to you by God to help you come to a full and mature understanding of the Gospel of Christ. They are to be honored and cherished with thanksgiving offered to God for their service to us and the church. But we must remember this, they are but men, and sinful men at that. It is the scripture that must be studied and confirmed. Many years ago I had a dear Pastor who was attempting to present a teaching from the pulpit proving that the gift of tongues was practiced throughout church history. It's obvious it's in the text of scripture, but we are divided today whether it continues or not. In his attempt to prove the continuation of this gift, he pointed to several historical people in church history that affirmed his point of view. Montanus was one in the 2nd century that he claimed to have this gift. It was suggested that after the Apostles the church became cold and indifferent to spiritual gifts. But for those who remained hungry for God's power it was still available, Montanus proving the fact. Because he was my Pastor, because it was the general belief of the church I was affiliated with, because people I loved and I knew loved me accepted this interpretation, I accepted it as truth. My then Pastor never mentioned that the Church considered Montanus teachings heretical because the practice and purpose of the gifts he presented were different than the Apostolic gifts in practice and purpose. It was many years later that my own study of the scriptures convinced me of His error in that teaching. I'm not sure today if he was aware of the churches view of Montanus teachings and just conveniently neglected to mention that bit of information, or if he just accepted it from someone like I accepted it from him. Either way, it was error and only avoidable by diligent study and a commitment to truth over one's own sinful, arrogant pride. That is just one example demonstrating how easily we embrace opinions over a diligent search for truth. I haven't forgot about the last 12 verses of Mark, Dory over here keeps my mind alert. Lets focus on these verses in the conclusion. Most of the controversy on these verses arise from modern translations of the Bible. I am not an adversary of modern translations, I use them and they are very helpful. In many cases the wording can be more accurate and precise than the older versions. I personally prefer the Geneva translation (1560) which predates even the King James (1611). But that is a personal preference, I grew up reading the King James and I am comfortable with the older language. But for many the old language is difficult and newer versions make study and reading much easier. So I am not advising anyone to abandon their new translation. I am advising caution in reading any translation, old or new in what ever language it is necessary for you to read in. As I began to write this I did a quick search on "the last 12 verses of Mark" and I was over whelmed with scholarly information about how these last few verses were added by some scribe later in the text, probably in Alexandria. They describe how these verses do not show up in our oldest copies that we have of Mark, therefore they must have been added. Sounds reasonable, so I assume that is why it is so widely believed and accepted. The problem with this is, it has a tendency to cast doubt on the reliability of scripture to one degree or another. To answer the question you might have been thinking of by now, "why do the newer translations differ and take note of this anomaly?" I will simply say, the weight of authority has shifted over the years from certain text to others, giving rise to these notations. I will leave that study to you, but you can trace out the different sources used in the older translations vs. the newer ones. It is here our church fathers can help us with these verses. These were a wonderful group of people and their writings are of great value to us in understanding much about the church and early Christianity. But their writings are different than the Scripture, they are the writings of men, and like men today they were fallible. They disagreed as men today disagree and some fell into serious error. So they should be read, but read with this understanding in mind. Our help comes from one by the name of Irenaeus. He wrote a work confronting the false teachings of his day (Yes, men were changing the Gospel even then) somewhere around the year 175 to 185 AD called "Against Heresies". We have to understand that men have tried to change the Gospel to their liking from the very beginning. Much of the New Testament is written to correct false teachings that had arisen. So let us not be surprised when we see it today. The help Irenaeus offers, is in his defense of the Gospel, he quotes from Mark the verses that supposedly were added in Alexandria. The obvious question is, if it was added later as suggested by our modern scholars, how is it Irenaeus knows to quote it in last part of the second century as ascribed to Mark and Scriptural authority? We must remember, our oldest text we have of Mark, is not the oldest text that ever existed. It would be more reasonable that the text was removed from our oldest text by some scribe rather than added. 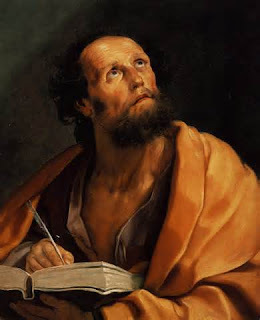 There are many very sound reasons from other text and sources as well as other church fathers writings that will affirm these verses as scripture and part of the original Gospel of Mark. So my friend, don't let anyone cast doubt upon you concerning the preservation of the truth of God's Word. It has been preserved for us and authenticated by numerous means and resources. It is His truth and it can be trusted.